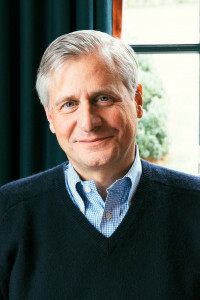 Jon Meacham is a renowned presidential historian, contributing writer to The New York Times Book Review, contributing editor at TIME, and Pulitzer Prize-winning author. Meacham’s latest book, The Soul of America: The Battle for Our Better Angels, is to be published by Random House on Monday, May 7, 2018. His Destiny and Power: The American Odyssey of George Herbert Walker Bush, published in November 2015, was a #1 New York Times bestseller and is available now in hardcover and paperback from Random House. He is currently at work on a biography of James and Dolley Madison. A member of the Council on Foreign Relations and of the Society of American Historians, Meacham is a distinguished visiting professor at Vanderbilt University. He is a contributing writer to The New York Times Book Review, a contributing editor of Time, and has written for The New York Times op-ed page, The Washington Post, Vanity Fair, and Garden & Gun. Meacham is also a regular guest on “Morning Joe” and other broadcasts. A trustee of the Thomas Jefferson Foundation, the Smithsonian’s National Museum of American History, The McCallie School, and The Harpeth Hall School, Meacham chairs the National Advisory Council of the John C. Danforth Center on Religion and Politics at Washington University. He has served on the vestries of St. Thomas Church Fifth Avenue and of Trinity Church Wall Street as well as the Board of Regents of The University of the South. The Anti-Defamation League awarded Meacham its Hubert H. Humphrey First Amendment Prize. In 2013 the Historical Society of Pennsylvania presented him with its Founder’s Award; in 2016 he was honored with the Sandra Day O’Connor Institute’s Spirit of Democracy Award. Meacham also received an honorary Doctor of Humane Letters degree from the Berkeley Divinity School at Yale University in 2005 and holds honorary doctorates from Middlebury College, Wake Forest University, the University of Tennessee, Dickinson College, Sewanee, and several other institutions.